The special stirring and heating transferring blade, makes high heat transferring efficiency, and provide self-cleaning function. The heat transferring area in the effective volume is very high. The heat transferring media flow through the rotation connector, jacket&rsquo;s shell and hollow stirring shaft. Topone Stainless Steel Food Dehydrator ST-01 Technical Specs. 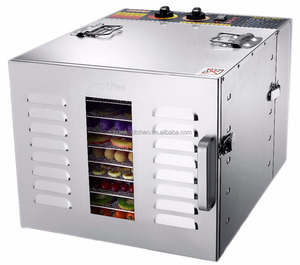 Horizontal air flow circulation system allows each rack of food could be dried evenly and rapidly; Thanks to our exquisite craftsmanship, the superb finish cabinet is formed in a neat and elegant shape; Through the embedded PC transparent door, the drying status is visable in real time. Customers can order packages as per their specific requirements as well. Zhongshan Kairui Vacuum Equipment Co., Ltd.
1) Q: Are you manufacturer or trading company9 A: We are manufacturer and trading company . 2) Q: Do you provide installing and training overseas9 A: Overseas machine install and worker training services are optional. 4) Q: How does your factory do regarding quality control9 A: There is no tolerance regarding quality control. 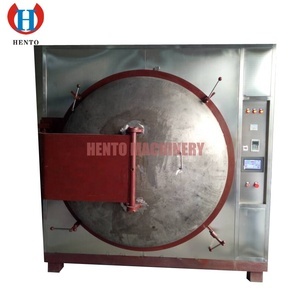 HGD series belt dryer consists of drying cabinet, heating device, fans, belt and automatic control system. HGD-1.7M series multi-layer belt dryer can work alone or combine several sets according to capacity requirement. 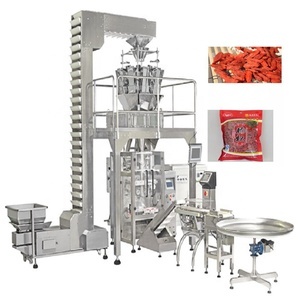 Single layer belt dryer also can combine with multi-layer belt dryer according to different capacity, different products or different craft requirements. The most clear difference is the appearance of the final products, this products will keep the same shape and color as they were frozen, it won't become shrink or darken after drying. 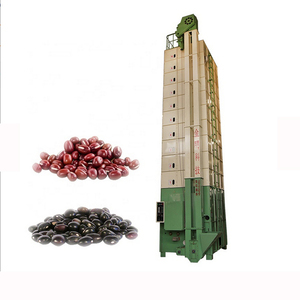 Further inside quality of the products, due to low temperature drying technology, the nutritons within the products have been preserved at the highest level. 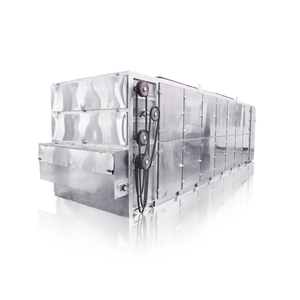 The materials stay in frozen status during the drying process and water vapor will be condensed on the surface of cold trap coils to absort the water out from the materials. When it is absorbed by the heating material, it can become the heating energy, which can shorten production cycle and improve the quality of production. 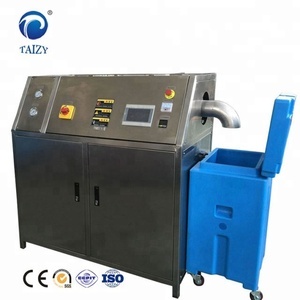 The dryer equipment usually applies to agriculture and industrial, medical treatment and public health, plastic equipment, university and the workshop and laboratory of scientific department. Applications pply for baking of food and goods with chemical gas ,removal of the substrate,curing of the lnk and drying of film and so on. Drawer type filter mounting seat, make replacement and maintenance more convenient. 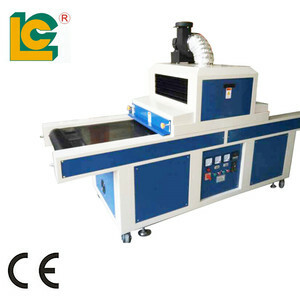 Wide-open heating area, make equipment cleaning and maintenance more convenient. Drawer type filter mounting seat, make replacement and maintenance more convenient. Q3:What is your terms of payment9 A3:Multiple,we can disscuss. *Customer visit our factory and check our production. We will make a layout according to your requirments. 2. 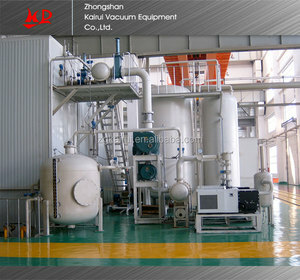 The equipment is flexible in configuration, and can use the network belt washing system and material cooling system. Our service Technical service (1) Design for production line flow and equipment layout freely according to the site. (4) During the operation, we can offer the technology service freely if the user needs to adjust the layout and application. 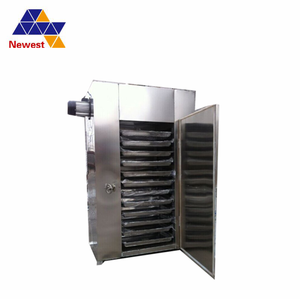 Hot air circulation stainless steel meat drying oven/machine Size of drying equipment : Brief Introduction Inner Hull Material: high quality SUS304 stainless steel advantage: corrosion resistance, high temperature resistance, the advantage of high cleanliness Body Shell Material: high quality cold rolled stainless steel sheet , angle bar , channel bar and so on Between shell and studio pack high-temperature insulation aluminum silicate cotton, the surface of the lacquer that bake Enclosure the overall design is reasonable, elegant shape. 6. Provided for desiccation, torrefaction, wax-melting and sterilization in mining enterprises, laboratories and scientific research Production of drying equipment: Xingtai Industrial Group is a globally renowned designer and manufacturer of electric process heating and control systems. The Subsidiary Corporation Yancheng BaoJun manufactures a complete line of Thermal oil heater,Duct heater,In dustrial oven ,flange heaters, circulation heaters, tubular heaters, and immersion heating elements for a wide variety of industrial and commercial applications since 2001. Photos of our customers: Factory Certification : Contact Person: More details of our company: Please visit our website : Windy is waiting for you online! In view of the characteristics of silica sand and the drying issues that happened repeatedly in some sand drying plants, our factory specially designed and manufactured silica sand dryer. 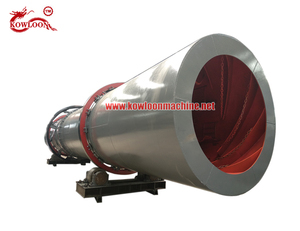 The materials&rsquo; staying time in dryer is much longer, and output greatly increased compared with conventional single drum dryers with same volume. 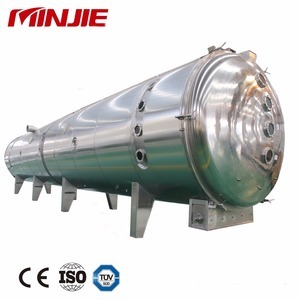 Because we dry materials by making clean hot air via stove and preheat barrel instead of heating drum directly, it avoids deformation and damage of drum. 5. The belt is with clean materials which can match different foods requirement. And each one has one or two skilled line and expericed countries. For machines, installations, one client, one engineer. 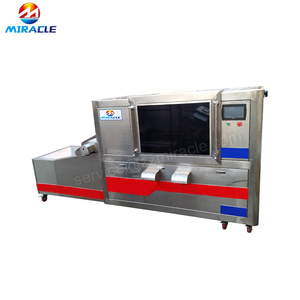 , As same, this Microwave drying machine for chinese herb comes sterilizing function and has features of adjustable power, intelligent control. 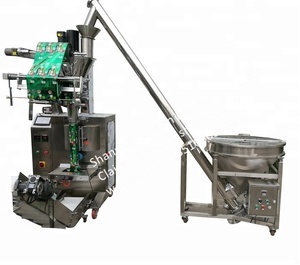 , As same, The Microwave drying machine for chinese herb comes sterilizing function and has features of adjustable power, intelligent control. 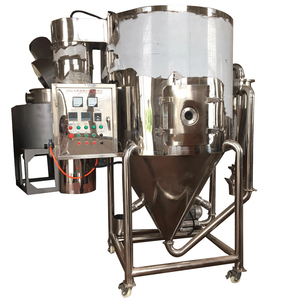 Any more question about microwave drying machine for chinese herb , please feel free to contact us at any time. 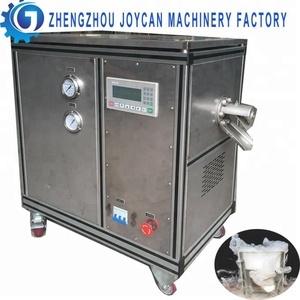 Alibaba.com offers 251,037 drying machine products. About 2% of these are drying oven, 2% are rotary drying equipment, and 1% are vacuum drying equipment. 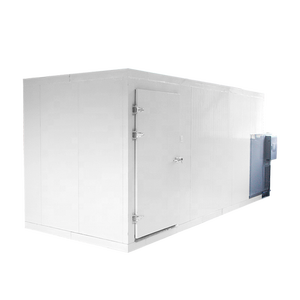 A wide variety of drying machine options are available to you, such as drying oven, dry cabinet, and vacuum drying equipment. You can also choose from free samples, paid samples. 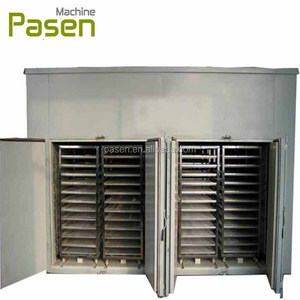 There are 250,646 drying machine suppliers, mainly located in Asia. The top supplying countries are China (Mainland), India, and Turkey, which supply 99%, 1%, and 1% of drying machine respectively. 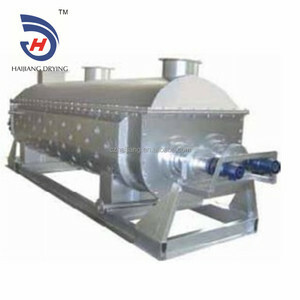 Drying machine products are most popular in Southeast Asia, Domestic Market, and Africa. You can ensure product safety by selecting from certified suppliers, including 63,122 with ISO9001, 44,300 with Other, and 8,724 with ISO14001 certification.